Ohio offers plenty of attractions and activities for the whole family to enjoy, including fantastic flea markets where visitors can spend the day searching for hidden treasures and one-of-a-kind bargains. 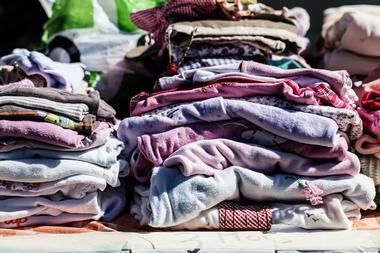 Whether it’s an annual weekend trade fair like the Lucasville Trade Days, a weekly flea market that draws regular bargain-hunters, Ohio has a market for everyone. Jamie's Flea Market was founded over 50 years ago as an auction house, was converted to a flea market in 1974, and has provided customers with an excellent shopping experience ever since. The family-run business hosts 200 vendors in the indoor marketplace and up to 400 vendors in the colorful outdoor market. 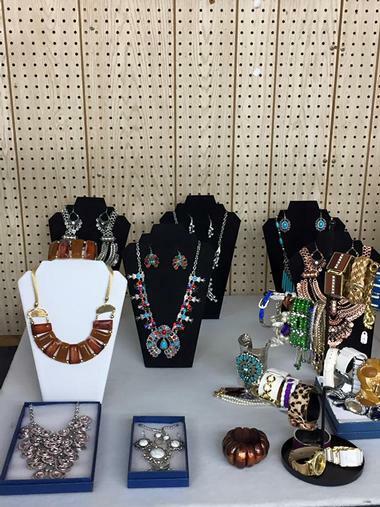 Combining estate and garage sales, as well as new merchandise at dollar store bargain prices, Jamie’s Flea Market is open year round every Wednesday and Saturday and provides free parking for shoppers. 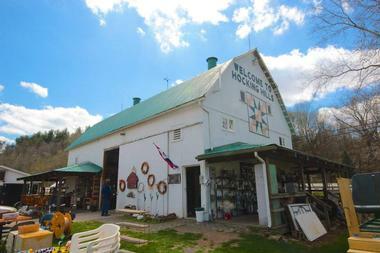 The Four Seasons Flea & Farm Market is located at 3000 McCartney Road in Youngstown, Ohio, just 3 miles west of Pennsylvania, and it is open on Wednesdays and Sundays, year round. Based on the grounds of what was once the largest airport between Cleveland and Pittsburgh, the Four Seasons Flea & Farm Market is an indoor and outdoor market with space for over 600 vendors, including 88,000 square feet of indoor space and 22 acres of blacktop. 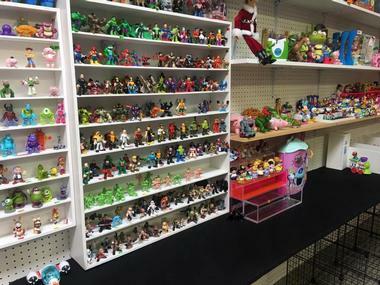 The market sells a wide variety of items, objects, collectibles, home decor, furnishings, antiques, children’s toys, clothing, jewelry, and more. The farm market sells a range of fresh produce, fruit and vegetables, home-baked bread, pies, and light meals, and a selection of arts and crafts. The 23 Southbound Flea Market is Ohio’s largest indoor/outdoor flea market with over 100 vendors selling a variety of items and objects ranging from home decor and furnishings to antiques, arts and crafts, clothing and jewelry, collectibles, children’s toys, and car and gardening equipment. Open every Saturday and Sunday from 9 am to 5 pm year round, the market also has an onsite restaurant that serves delicious Southern-style food and drinks for breakfast and lunch. Located at the southern end of the Cuyahoga County Fairgrounds on Bagley Road, the Berea Flea Market is a weather-dependent market that runs every Saturday and Sunday from April through mid-November. 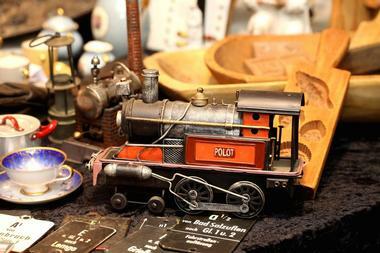 The fair draws a large crowd of bargain hunters and treasure seekers who come to stroll around the many stalls and stands, which heave with all sorts of goodies from antiques and collectibles to home decor, furnishings, clothing, jewelry, musical instruments, and many nostalgic trinkets. Also on sale are fresh flowers, home-baked treats and confectionary, food and drinks from a variety of concession stands, and fresh fruit and vegetables. Open every Saturday and Sunday no matter the weather, Caesar Creek Flea Market is an indoor/outdoor flea market that features over 500 vendors selling an array of items from clothing and jewelry to home decor, furnishings, antiques and collectibles, garden and motoring equipment, and more. The indoor market has indoor climate-controlled aisles, and both the indoor and outdoor markets have several concession stands that offer fast food and delicious home-cooked food and drinks for hungry shoppers. The market also hosts a variety of events and live performances throughout the year, such as music and talent shows, and a market office is available for all administrative issues. 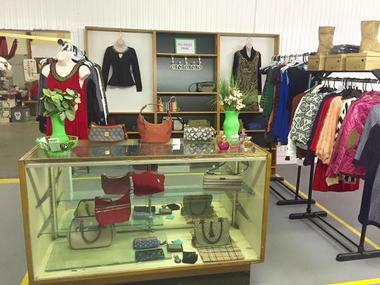 The Delaware Flea Market is located in London Road in Delaware and runs on Sundays only from April through October. The market is popular with bargain hunters and antique collectors and sells a wide variety of items and objects from arts and crafts, clothing, and jewelry to home decor and furnishings, antiques and collectibles, gardening equipment, toys, and coins and stamps. 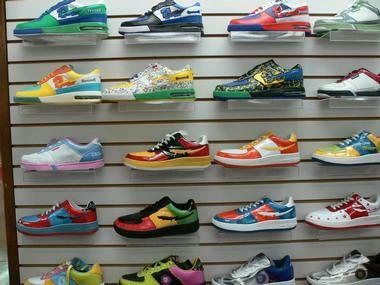 Located on the west side of Ohio’s beautiful Indian Lake, Fisher's Flea Market boasts 27,000 square feet of indoor space with concrete floors that house hundreds of vendors selling a wide variety of goods and items. Spread over three buildings, the flea market features concession stands and handicap accessible restrooms, and is conveniently situated close to a 450-unit campground on the shores of Indian Lake. Fisher's Golf Carts sells new and used golf carts within the market complex. Fisher's Flea Market runs on Saturdays and Sundays from April through September and Fisher's Golf Carts are open seven days a week from April through September, and six days a week from October through March. 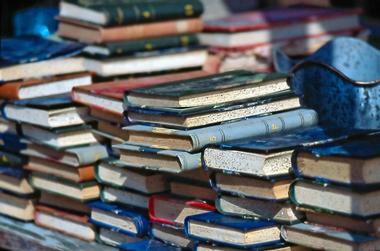 Admission to Fisher's Flea Market is free. The Hartville Market Place & Flea Market was founded by Sol Miller in 1939 when he bought a plot of land on the corner of Market Ave and Edison Street in Hartville and constructed a building to house an arena and cattle pens for livestock auctions. Sol’s wife started making food to feed the vendors and patrons, and the weekly sale quickly grew into a burgeoning flea market, which is still popular today. In 2002, the Hartville Market Place & Flea Market relocated to its current address and opened with a 3-acre climate-controlled building for indoor vendors and over 12 acres for outdoor vendors. 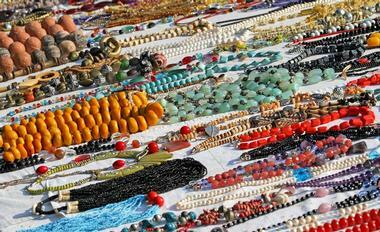 The Market Place & Flea Market is open Mondays, Thursdays, Fridays, and Saturdays, year round. Nestled in the beautiful Hocking Hills region on U.S. Route 33 at the intersection of the scenic State Route 374 in Rockbridge, the Hocking Hills Market is a weekend-only market that is run during the summer months. The market hosts many specialty dealers and vendors that sell a variety of wares from furnishings, antiques, and children’s toys to clothing, jewelry, collectibles, home decor, and more. The market also provides delicious home-cooked food for hungry shoppers such as baked goods, penny candy, pretzel dogs, roasted nuts, and a market grill. 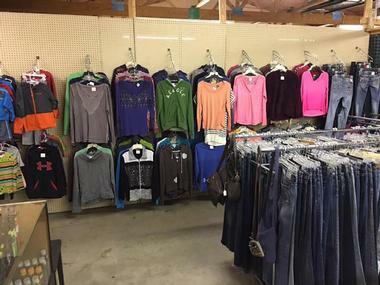 Founded in 1989 in Walnut Creek on the hill, the Holmes County Flea Market was a famous flea market for 19 years until it changed hands and moved to its current location behind Zinck's Fabric outlet, 1 mile east of Berlin in the heart of Amish Country. The market offers a fantastic shopping experience in a 55,000-square-foot climate-controlled building that houses 350 spaces, with over 60 distinct vendors selling a wide variety of goods. The indoor/outdoor market features clean restrooms, an on-site restaurant and several concession stands, free parking, and personalized bus service, and it hosts an array of events throughout the year. 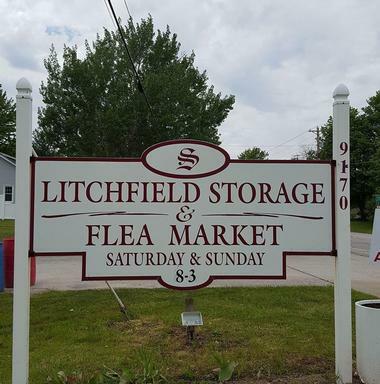 Located at 9170 Norwalk Road in Litchfield, west of Medina, the Litchfield Flea Market is an indoor/outdoor market open year round on Saturdays and Sundays that sells a variety of goods and items including sportsware and collectibles, clothing for adults and children, home decor and furnishings, vintage and antique items, coins, corning ware, stamps, and more. The market is a cash-only market with an ATM nearby and features indoor restrooms and portable toilets in the summer months as well as several concession stands selling a selection of foods and drinks, ice cream, and candy. 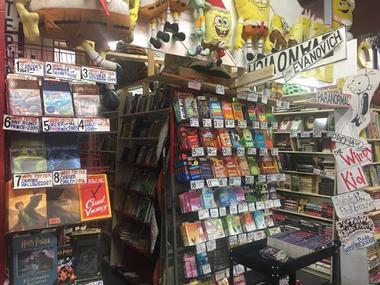 Located on Mentor Avenue in Painesville, the Painesville Flea Market is a friendly neighborhood flea market that offers a wide variety of trinkets, collectibles, vintage items, and antique furnishings, making it an oasis for treasure hunters and bargain seekers. Open from September through the end of June, the Painesville Flea Market welcomes all vendors who want to sell their wares as well as customers looking for that particular item. In addition to the vast array of goods on sale, the market also has several concession stands selling a selection of food and drinks for hungry shoppers, offers free parking, and has modern restrooms. Peddlers Flea Market is a year-round indoor/outdoor flea market on Kellogg Avenue in Cincinnati that has been providing the community with a fantastic family-friendly marketplace for more than three decades. Peddlers Flea Market features 110 indoor vendor booths, 300 outdoor vendors, and several concession stands that serve delicious food and drinks all day. An oasis for treasure hunters, the market sells a wide variety of items and objects, including collectibles, home decor, furnishings, antiques, children’s toys, clothing, jewelry, and more. Nestled in the hills of beautiful rural Ohio, Rogers Community Auction and Market is the state’s largest indoor/outdoor market with more than 1,600 vendor spaces. Open every Friday year round and located just an hour’s drive from Cleveland, Pittsburgh, and Wheeling, Rogers Flea Market features over 5 miles of market space with barns, buildings, and pavilions that visitors can explore. 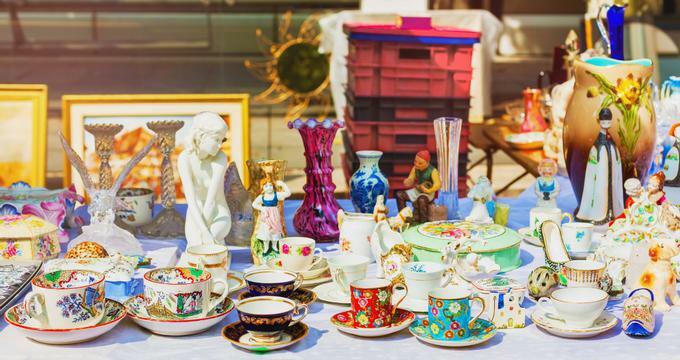 Boasting over 70 acres of free parking and free admission, Rogers Flea Market attracts visitors from around the world who come in search of bargains and treasures, such as antiques and collectibles, vintage items, and toys, coins, stamps, and other trinkets. Established in 1978, the Tiffin Flea Market has been serving as a friendly neighborhood market and community gathering space for more than 40 years. 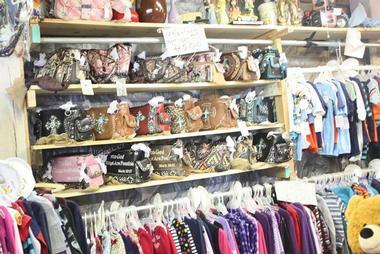 Located at the Seneca County Fairgrounds in Tiffin, the Tiffin Flea Market has gained the reputation as being the largest show in Northwest Ohio, drawing visitors from far and wide to explore the stalls for bargains and treasures. Open year round on Saturdays and Sundays, the market features indoor and outdoor vendors with up to 400 dealers per show with a variety of merchandise for every taste. The market is ADA accessible with easy walking and shaded areas and offers delicious food, free admission, and parking for visitors. 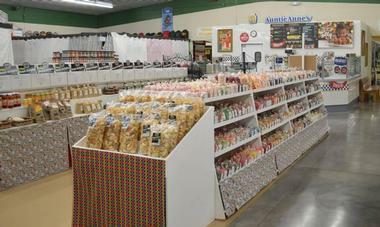 Hailed as the Midwest’s largest and most colorful flea market, Traders World Market has something for everyone. Set on 11 acres of land with 16 buildings boasting 850 indoor vendor spaces, 400 outdoor vendor spaces, over 2 miles of storefronts, and plenty of paved parking, Trader’s World Market is a must for shoppers looking for a bargain. 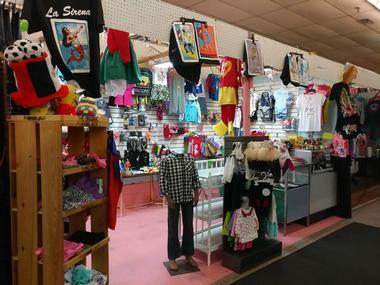 The vast complex sells everything from fresh fruit and vegetables to clothing and jewelry, antiques, collectibles, and used merchandise, home decor and furnishings, vintage pieces, artworks, arts and crafts, and more. There is also a barbershop and many concessions stands and eateries for those needing a bite to eat while shopping. 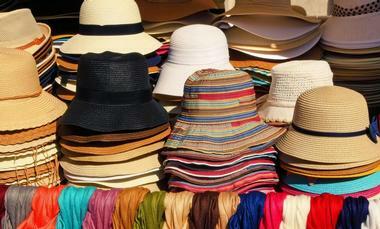 Traders World Market is open on the weekends from April through October. Open on the weekends in all types of weather, Treasure Aisles Flea Market is an indoor/outdoor flea market that features over 500 vendors selling a wealth of goods including antiques and collectibles, home decor and furnishings, clothing and jewelry, garden and motoring equipment, and more. The indoor market has indoor climate-controlled aisles, and both the indoor and outdoor markets have several concession stands that offer fast food and delicious home-cooked food and drinks for hungry shoppers. 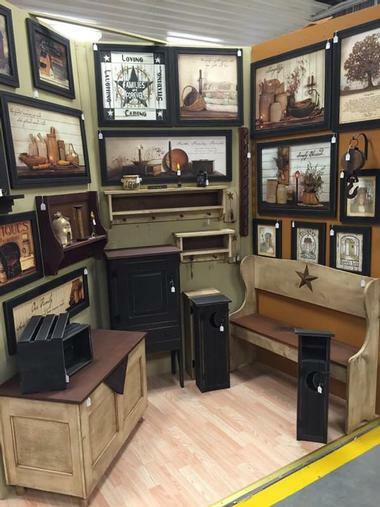 Walnut Creek Amish Flea Market is a 50,000-square-foot indoor flea market that offers a plethora of fabulous treasures, merchandise, and delicious food and beverages under one roof. The market, which also features an outdoor area with vendors and concession stands, provides weekly live entertainment, hourly and monthly competitions, and fun for the whole family. 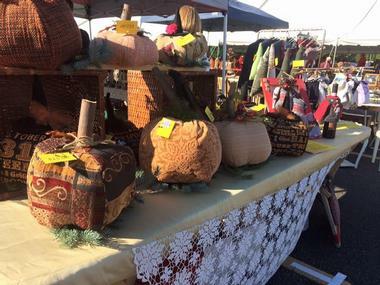 Market wares include home decor and Amish-crafted furniture, clothing and jewelry, arts and crafts, gardening and motor equipment, pet supplies, and more. Walnut Creek Amish Flea Market also has live animals such as donkeys and peacocks and a large playground for children to entertain themselves. Westland Flea Market is an indoor and outdoor flea market that has been bringing together buyers and sellers for more than 25 years. Conveniently located on the west side of Columbus near the new Hollywood Casino, the market features over 300 dealer booths selling a wealth of merchandise, items, and objects from high-end electronics including computers, TVs, and DVD players to antiques, collectibles, and vintage items. The indoor market is air conditioned, while the outdoor market is home to more than 80 vendors offering a variety of trinkets, all year round. Admission to the Westland Flea Market is free and there is ample free parking, concession stands selling food and beverages, and restrooms. The Springfield Antique Show and Flea Market has been drawing collectors and dealers in search of treasures and bargains for over 25 years. Recognized as one of America's best markets, the busy market is held on a county fairground on South Charleston Pike and has earned a reputation as the heartland’s go-to source for arts, crafts, and folksy items. 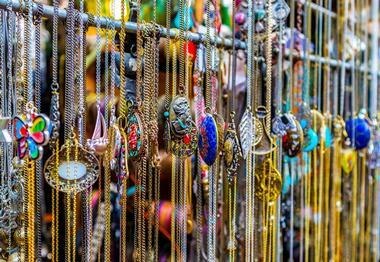 The market is also renowned for selling handmade jewelry, body care products, gourmet treats, glass art, home decor, furnishings, and beautiful antiques and collectibles. 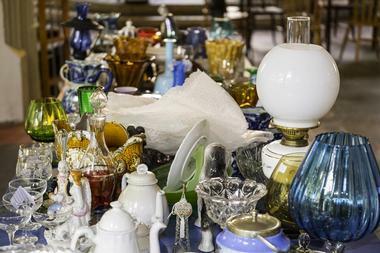 The Springfield Antique Show & Flea Market can feature up to 2,500 sellers during Springfield Extravaganza weekends and is a favorite of treasure hunters. The South Drive-In Flea Market offers a unique combination of a drive-in theater that screens films and serves food and drinks, along with a flea market with hundreds of vendors where visitors can hunt for bargains and explore for treasures. 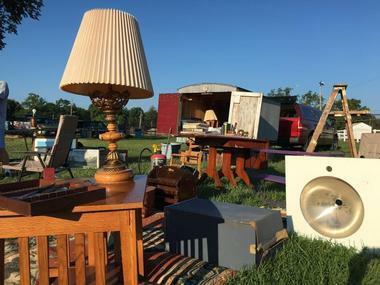 Located on the south side of Columbus, the South Drive-in Theater has provided the community with one of the largest outdoor yard and garage sales since the 1970s. The giant yard and garage sale features a wealth of items and objects for sale including electronics and computers, arts and crafts, housewares and tools, clothing and footwear, collectibles, vintage pieces, and collectibles. The market also offers fresh fruit and vegetables, freshly baked goods, and sweets and confectionary. Held at the Scioto County Fairgrounds in Lucasville, the Lucasville Trade Days is an annual event that runs over two days and features a variety of vendors selling an array of used and new goods, merchandise, antiques, collectibles, and more. 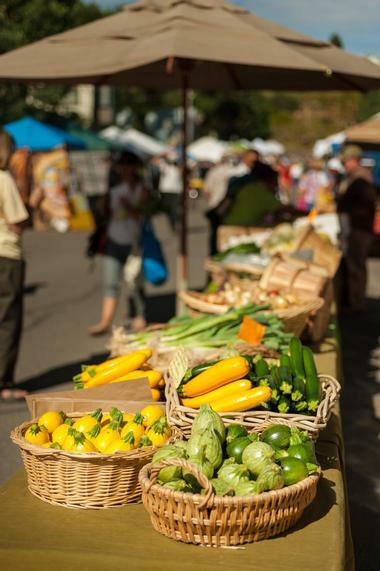 The market also features live animals, fresh produce such as fruit and vegetables, home-baked and cooked food and treats, handcrafted gifts, arts and crafts, and several concession stands that sell a range of food and beverages throughout the day.